The Shining Sea Bikepath was orgininally established in 1975 and went from Falmouth Center to Woods Hole along an abandoned railway line (New York, New Haven & Hartford Railway). It is named for the line in the song "America the Beautiful" by Falmouth native Katherine Lee Bates. 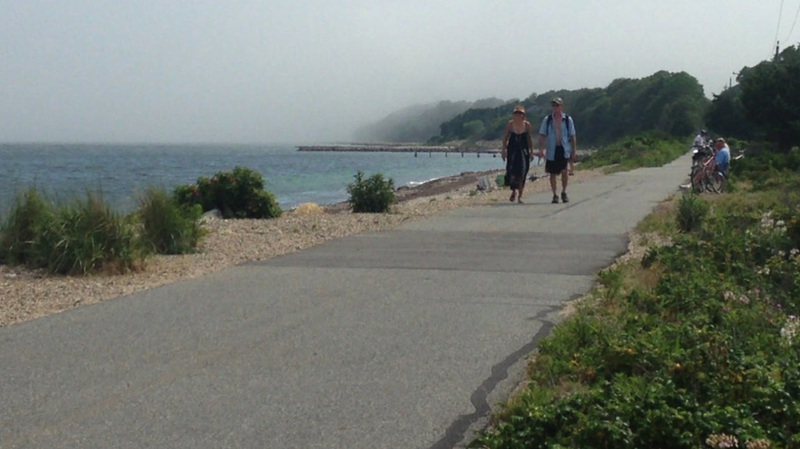 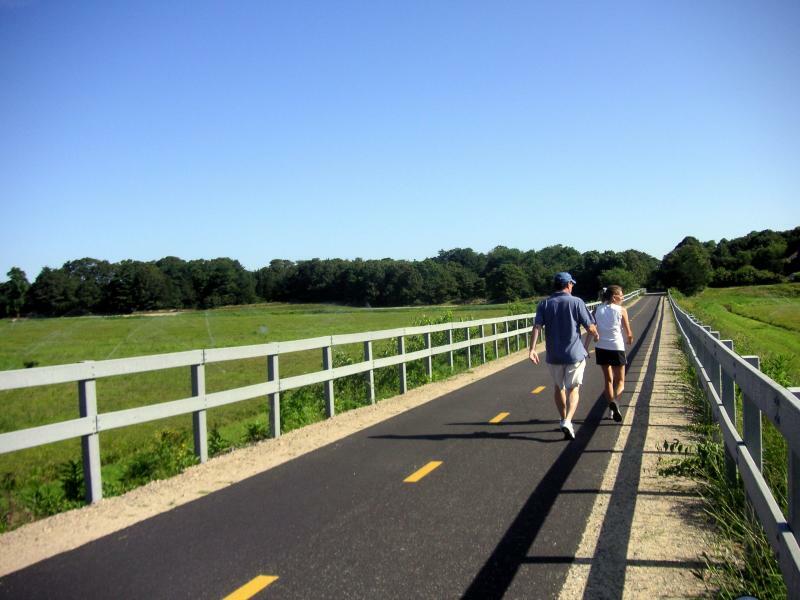 In 2009, the pathway was finally completed from Falmouth Center to North Falmouth an additional 6.8 miles making the total length from Woods Hole to North Falmouth 10.8 miles. 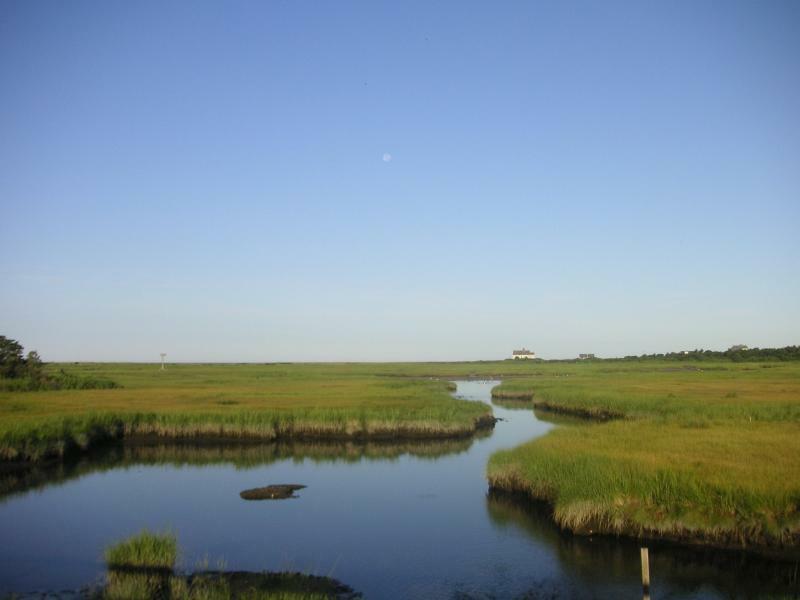 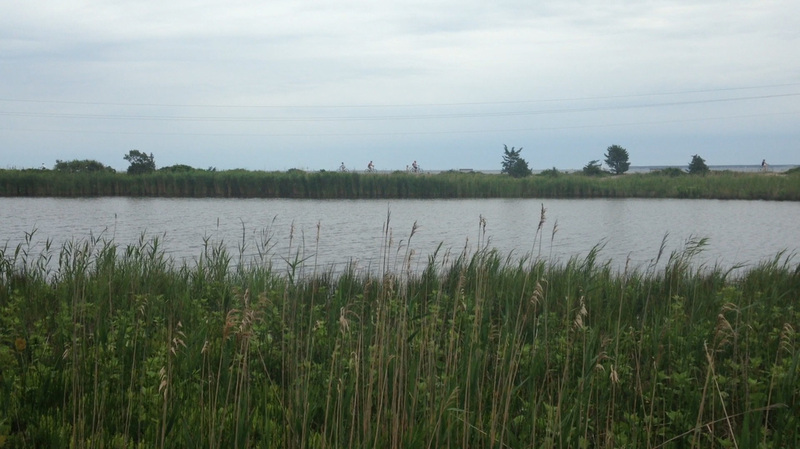 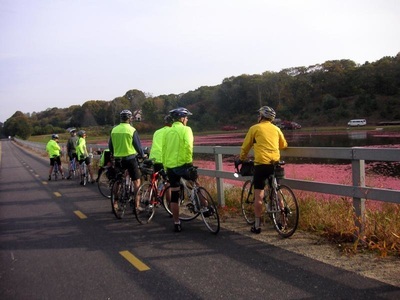 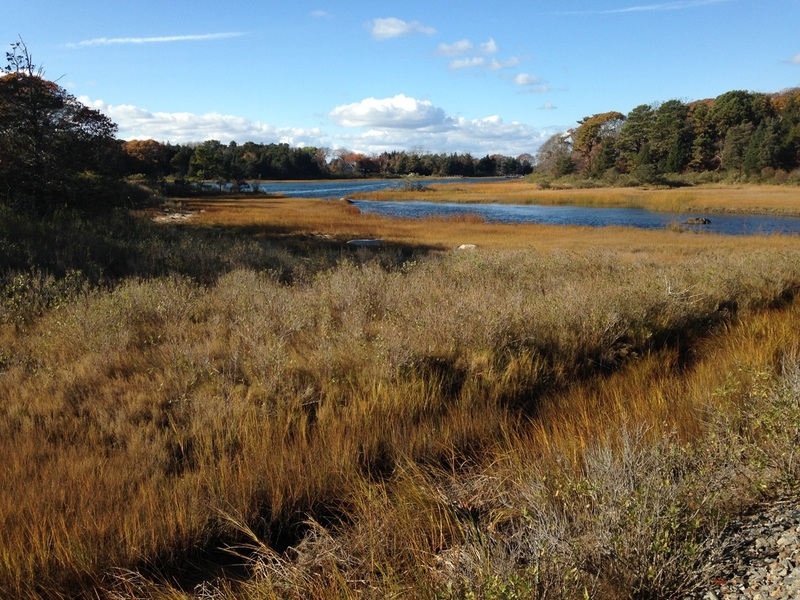 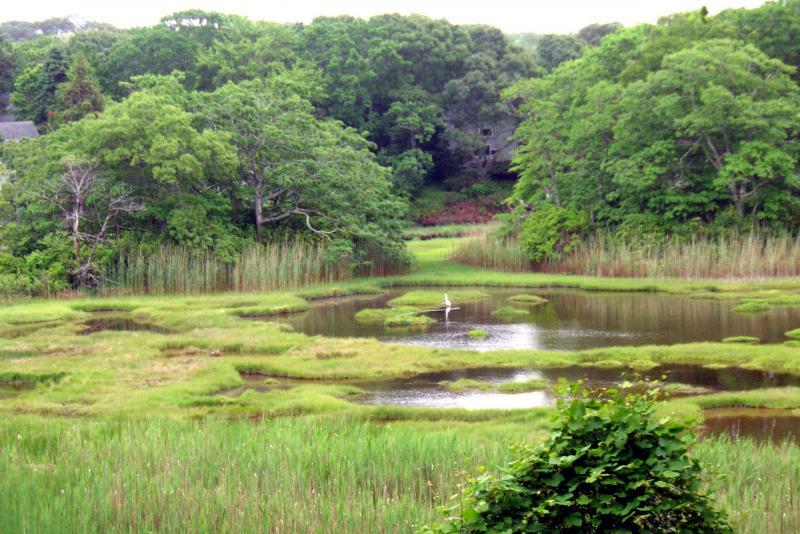 Starting in Woods Hole, the Bikeway has sweeping vistas over Vineyard Sound to Martha's Vineyard, skirts town, then heads north for views over salt marshes, freshwater ponds, and cranberry bogs. 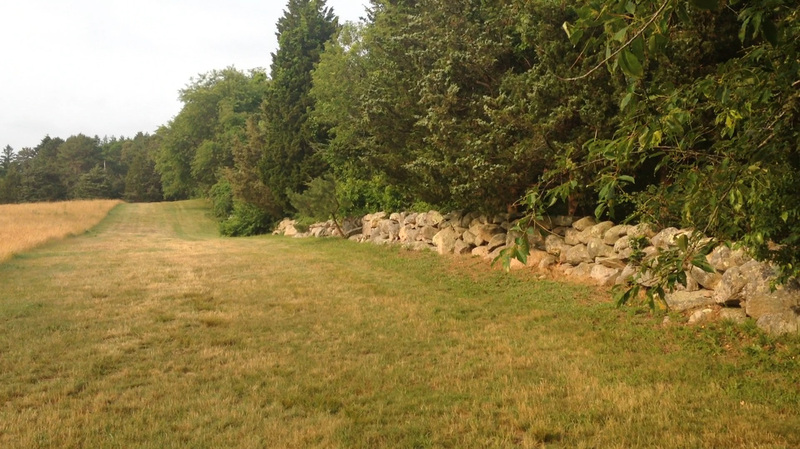 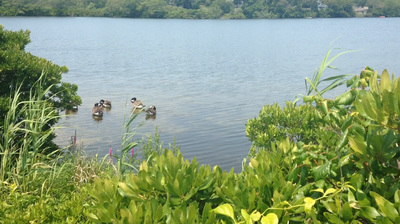 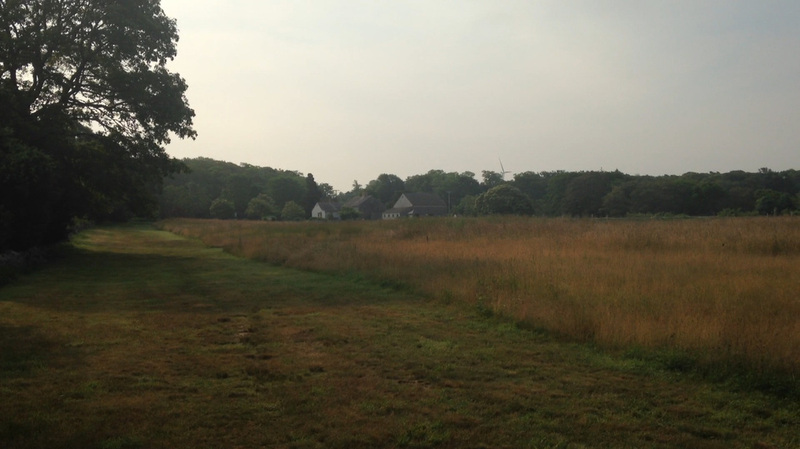 Walking trails, Bourne Farm, the villages of West and North Falmouth can all be accessed from the trail. 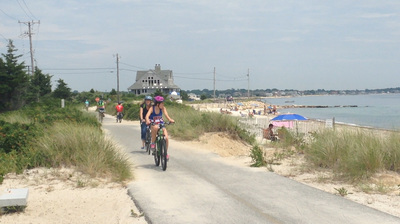 Several public beaches are an easy ride on roads. 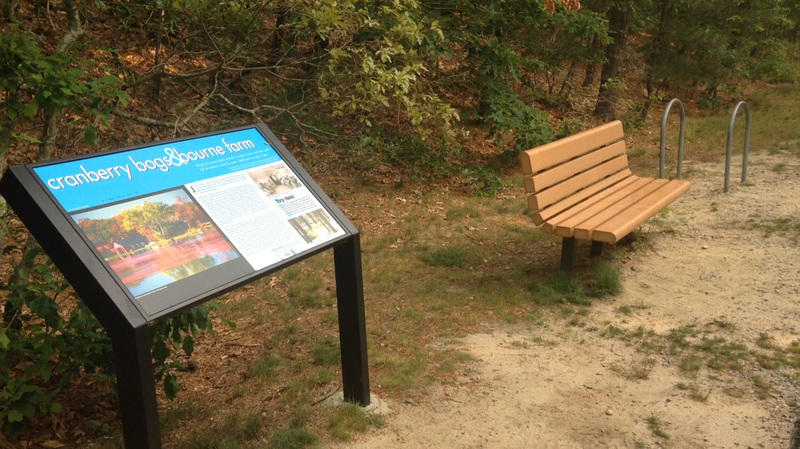 Interpretive signs along the way teach you about the cultural and natural history of the area. In addition, several features installed specifically for the trail include Bud's Stop Pavilion and lots of artwork.